This is a very brief summary of the main activities that the Escarré International Centre for Ethnic Minorities and Nations (CIEMEN) is engaged in, or has been, for the 2017-2018 period. Starting from 2015, CIEMEN made a bid to offer specialized courses on issues related to stateless nations and diversity with a cross-cutting, gender perspective. 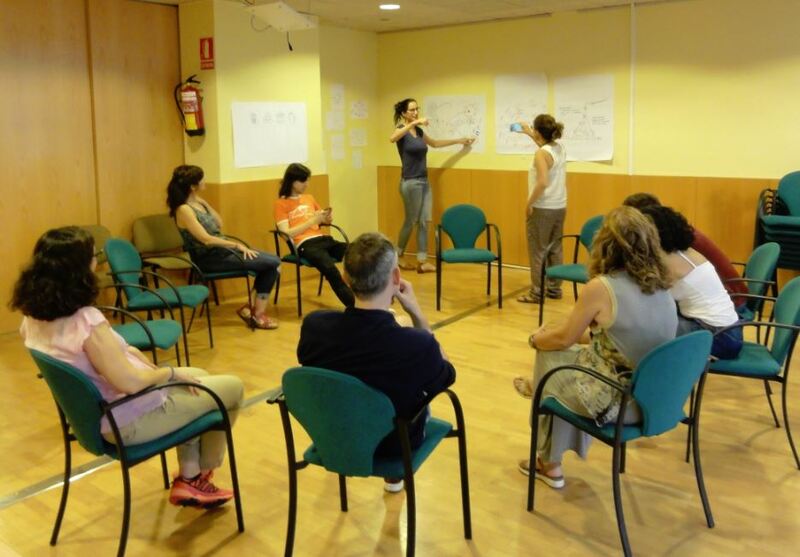 In July 2016 CIEMEN organized its first Summer School, which revolved on the issue of the rights of women, feminism and collective rights with a focus on minoritised communities in Barcelona. In July 2017 the second edition of the Summer School was organized, this time focusing on the maintenance of minoritised languages that newcomers recently brought to Catalonia (such as Amazigh and others) and the acquisition of Catalan by those people. We had the opportunity to have two guest pupils from Galicia and the Basque Country, besides 10 pupils from Catalonia. The third edition, July 2018, will be again focusing on the rights of women and the collective rights of peoples. After our on-line newspaper turned 10 in 2017, we decided to give it a renewed direction by including more in-depth stories and a weekly roundup. All over the year we have featured articles and analysis —including protests in Fryslân against gas extraction, Corsica’s demands for enlarged autonomy or the Catalan referendum on independence. Plus: We continued to give support to the Mercator Network for Linguistic Diversity. Furthermore, we kept on disseminating knowledge on stateless nations through speeches and articles (most especially Kurdistan, the Catalan Countries, Karabakh and refugees), our series of dossiers Col·lecció Drets Col·lectius with a new issue (fourth one in the series) on the rights of women and violent conflict, and a new series of reports Identitats diverses i resistents on the life of groups currently inhabiting Catalonia but originating in stateless peoples around the world. CIEMEN is working together with the Amazigh House of Catalonia in a series of actions to support the maintenance and development of the Amazigh language in our country. Amazigh is the fourth, or by some estimates the third, most spoken mother tongue in Catalonia. The Parliament of Catalonia committed itself in 2002 to support this language by recognizing the Amazigh as one of the components of the Catalan society, thus our project follows this policy framework. Within it, we are developing teaching materials for Amazigh language classes in Catalonia, plus a series of conferences on Amazigh culture and identity are being held in Barcelona. Plus: With support from the Municipality of Barcelona, CIEMEN organized in 2017 two courses on EU projects for Catalan civil society associations. Members of 50 Catalan associations attended them. With funds from the Barcelona Metropolitan Government and the Barcelona Bar Association, CIEMEN launched a project to help 93 women, youths and children from the Abdal and Dom peoples who are either Turkish IDPs or Syrian refugees in North Kurdistan/Turkey. Within the project, those people have received training and assistance in the fields of sexual and reproductive health and psychopedagogy. 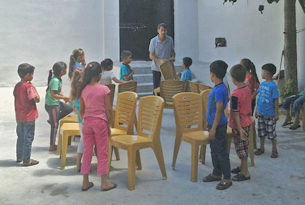 The activity sought to address traumas caused by the conflicts in Syria and Turkey to people belonging two of the region’s most marginalised peoples. The project was implemented with the collaboration of four local partners in the cities of Amed (Diyarbakir) and Gaziantep. The mainly Kurdish city of Kobanê (Rojava, northern Syria) became almost ruined during the 2014-2015 siege by ISIS militants. Since then, efforts to rebuild the city have been ongoing. Thanks to a project partially funded by the Barcelona Municipality, CIEMEN is modestly contributing to the rebuilding by helping the Kobanê Municipality in the reconstruction of a square in the city centre, which will have the name of “Memory Square”. The place will display signs explaining the history of resistance against ISIS barbarism. Works are expected to be completed by August 2018. In December 2016 CIEMEN hosted a meeting of political foundations —and political parties if they do not have a foundation of their own— of Spain. The meeting gave rise to a more permanent network that met again in Barcelona, hosted by CIEMEN, in June 2017. Participants from Catalonia, the Valencian Country, Mallorca, Aragon, the Basque Country, Galicia and Andalusia took part in either of the meetings, which were the first ever that brought together all those foundations. In the June 2017 meeting, debates were organized on three main blocks, namely feminism and nation building, pro-sovereignty discourse, and fighting against far-right extremism and xenophobia. The next meeting will be held in May 2018 in Bilbao (Basque Country). CIEMEN coordinated an international group of delegates (Basque Country, Colombia, Galicia, Valencian Country and the Balearic Islands) that observed preparations and the holding of the 1 October Catalan independence referendum. Observers witnessed violations of the rights of voters, including violence by the Spanish police. Related to this, CIEMEN has been one of several grassroots associations in Catalonia giving rise to With Catalonia, an international network denouncing the repression against Catalonia and supporting the Catalan people’s right to freely decide its political status.